Drawing upon history, economics, complexity theory, human immunology, psychology and his own extraordinary experiences, Joshua Ramo puts forth a radical new model for looking at the world, one that embraces its inherent unpredictability--and offers our best hope for dealing with problems and disasters as they emerge. 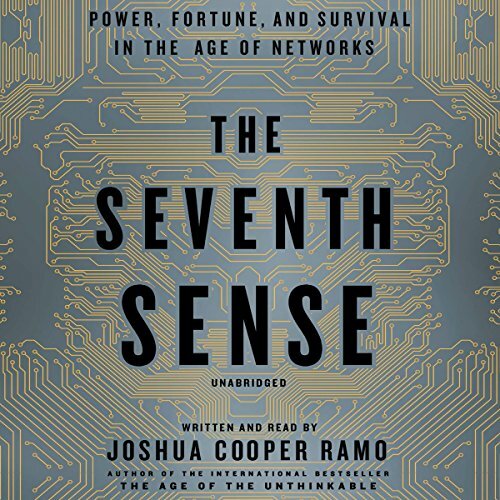 The digital age we live in is as transformative as the Industrial Revolution, and Joshua Cooper Ramo explains how to survive. If you find yourself longing for a disconnected world where information is not always at your fingertips, you may eventually be as useful as the carriage maker post-Henry Ford. It's practically impossible to know where the marriage of imagination and technology will take us (sorry, Betamax and Kodak), and the only certainty is that in the networked world we will only become more intertwined. Is it possible not to become hopelessly tangled? 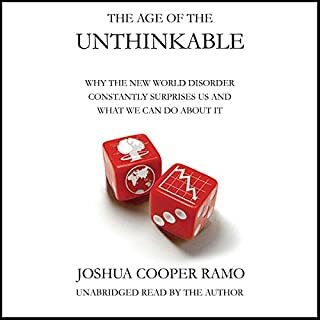 Joshua Cooper Ramo, a policy expert who has advised the most powerful nations and corporations, says yes - if you are ready to ride the disruption. Drawing on examples from business, science, and politics, Ramo illuminates our transformative world. Start by imagining a near future when America's greatest power is not its military or its economy but its control of the Internet. Simply put, "The Seventh Sense" is a book that provides insight into why the world feels as crazy as it does, today. 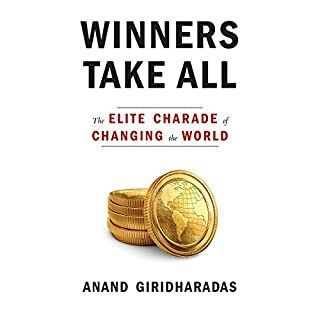 The answer, at least according to the author, is based in the well argued theory that we are at the beginning of a societal change on par with that of the Industrial Revolution--a time in history when people felt much the same way. If you are looking for a book that will hold your hand and tell you that the future of the world is going to be drop dead gorgeous, I think you are probably better off with a different book. 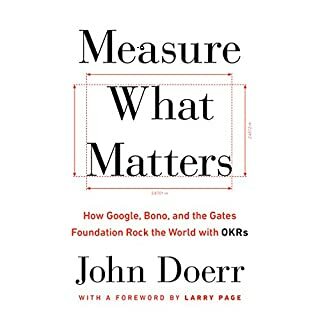 If you are looking for a book that justifies your cynicism and provides you more ammunition for your opinions of doom and gloom, then you are, again, probably better off with a different book. Or maybe this book is EXACTLY for you, but just know that it's a very broad and very deep canvas that the author delves into--just be ready for some macro-level thinking. If you're not ready for that, I could see how this book might come across as too high in the clouds. Overall, however, I personally found it extremely relevant, extremely well thought out, and I'd highly, highly recommend it. The actual quality of the narration is pretty well done, and it's the author, himself, speaking, which I always like to hear. He has a very good voice and an almost conversational style of speaking. I could see some people finding that a bit unprofessional, perhaps, but I found it really enjoyable. There'll be quite a bit of work to be done on our part, but I do think that the future has quite a good chance of being extraordinarily fascinating, and nowhere near the apocalypse our Facebook news feeds would seem to suggest (looking at you, Drumpf). Hope more people give it a try, because I think we could all really benefit from the perspective that books like these might provide us. If you’ve listened to books by Joshua Cooper Ramo before, how does this one compare? I've seen him speak in person and he's much better in an hour long format. Who would you have cast as narrator instead of Joshua Cooper Ramo? Normally, I like when an author reads their own work. Perhaps this was Ramo's first time? He.speaks.as.if.there.is.a.period.between.every.word and it is maddening. Like having a debate with Captain Kirk. His. narration. drove. me. nuts. Could you see The Seventh Sense being made into a movie or a TV series? Who should the stars be? Can be exceptionally thought provoking at times, but thoughts are only vaguely connected and can be lost in the long winded stories. No. The book took a fairly simple observation or two and found a zillion examples to - kind of - support or illustrate it. I worked all the way through to the end, hoping that Ramo would come up with some brilliant, useful conclusion, but in the end it was like "So, be aware of this in your life..."
Has The Seventh Sense turned you off from other books in this genre? If the genre is someone's capstone reading report, then yes, it has turned me off from the genre. Ramo masterfully describes this network age, but falls short of providing any solutions or answers. 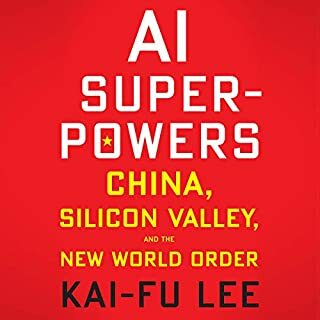 I started this book a while ago & stopped it, it's not a book to read/ listen to when you any time, this is very good book that needs to concentration, rich & long read but I enjoyed it , and somehow the author mange to link between the past & the future of the network, But the question is: How far away this future? Thought provoking and enlightening book. I really enjoyed this book. The author does a great job of narrating and is easy to follow. A really eye opening read. Slightly too many references on military strategy then I would have preferred but still extremely interesting. Would love to hear any new thoughts from the author given all the latest political issues. While reading Nature, watching Ted or browsing HBR, it's incredible to see so many modern intellectuals from distinct backgrounds and paths in life agree on a few very concrete ideas. 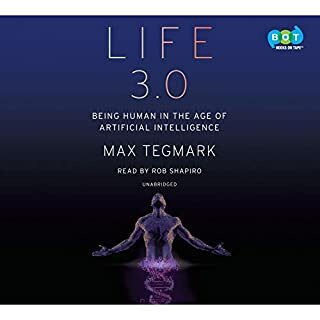 This book explains the whats and hows of much of the most cutting edge, recent understanding of where we stand, right now, as humanity. There's a profound level of thought etched into the core of this books message. Thought provoking... but felt that it needed summarising at the end to help solidify ideas and recommended action. But what is the 7th sense? Just amazing so true and raw. From the past to the potential truth. I believe what you say is the truth. We are human first. Thankyou. 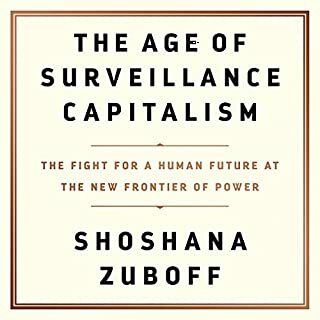 This is a must read for all human beings who want to understand where and how our digital computerized world is expanding to and the social effects of misusing the power of the new world.